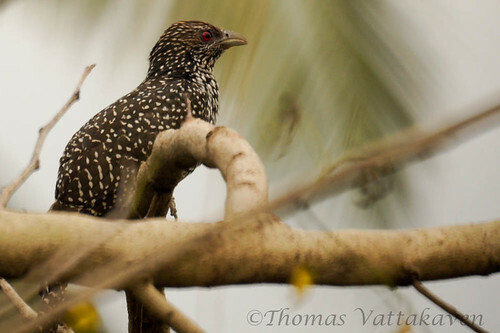 The Asian Koel (Eudynamys scolopaceus) is a member of the Cuckoo family and is a brood parasite, i.e it lays its eggs in other bird’s nests and is reared by them. 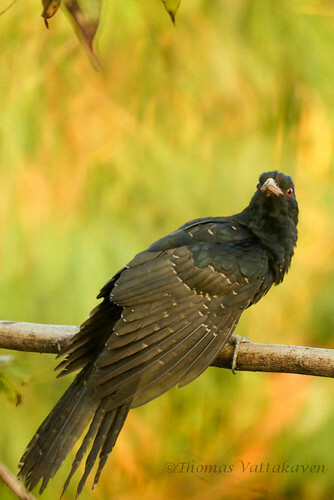 It is parasitic to the Jungle crow and the House crow, but has also been known to parasitize the Drongo, Mynah and Black-headed Orioles. 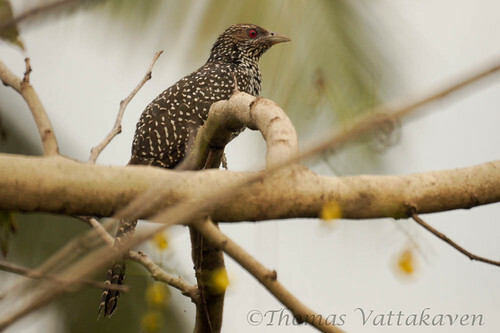 While the mother Koel may remove the host birds eggs before laying her own single egg, the Koel nestling, unlike other cuckoos will not push out host eggs or evict young host fledglings. The adult birds are largely fruit eaters, but also consume insects and occasionally the eggs of other birds. 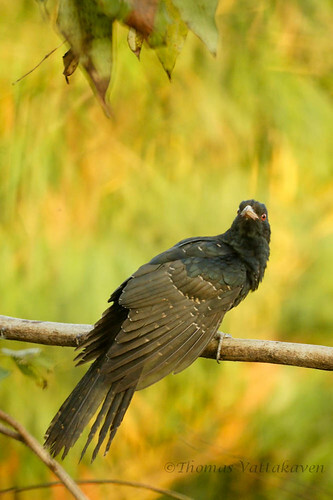 The male Koel is black while the female is brownish with white spots.